Take your resume to the next level with your new CEC™ PME™ or CEA™ Computer Certification in ebusiness, project management or marketing. To gain equal status for a job interview or to attain promotion. 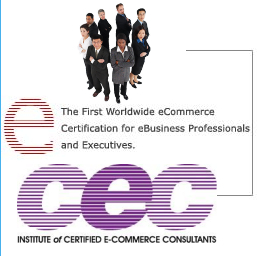 Complete Registration & Certification, and CEC™ Certificate for your office. Right to Use Credentials on Resume and Business Cards while in good standing. International Registration with the Institute on our World Wide Web Registry and the AAPM Project Management Registry after certification. Become a Fellow of the Institute or receive the CEC Academic Award for Professors and publish your approved articles with the CEC Institute. Increased self esteem and respect from others.